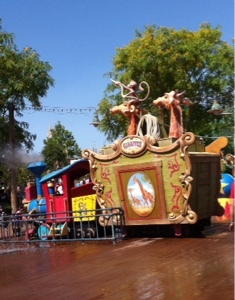 Orlando Visitor: Kids can cool down at Casey Jr. Splash n Soak Station, MK, Walt Disney World. 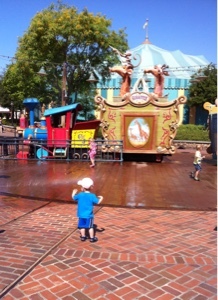 Kids can cool down at Casey Jr. Splash n Soak Station, MK, Walt Disney World. When it's hot in Disneys Magic Kingdom, Walt Disney World Florida, a great way for the kids to cool down is at Casey Jr. Splash n Soak Station in Storybook Circus. 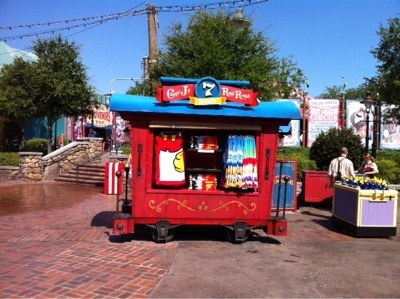 Here children can splash in water sprayed from circus animals on board Casey Jr..
Great fun for kids, and if they get too wet there is a handy cart close by selling towels! Labels: Casey Jr. Splash n Soak Station. Storybook Circus. Magic Kingdom. WDW. Orlando. Florida.